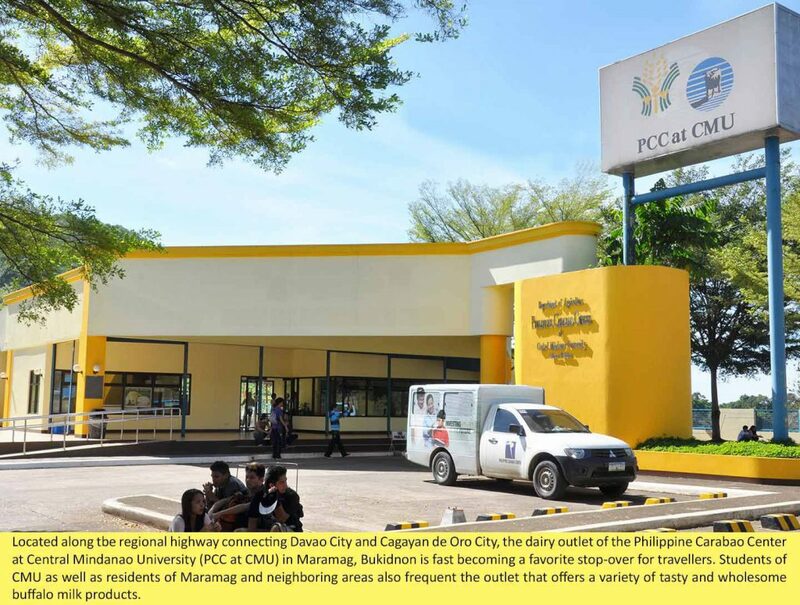 One particular spot along the highway in Maramag, Bukidnon, has become a must-stop haven for travellers: the dairy product outlet of the Philippine Carabao Center at Central Mindanao University (PCC at CMU). In this cozy establishment, they partake of their favourite products and/or take home as “pasalubong” the items of their choice from an array of milk products produced right in the place out of the carabao’s milk harvested in the PCC at CMU farm, just across the highway near the foot of Mt. Musuan. The available products include fresh milk, choco milk, pastillas (milk candies), white cheese, flavored milk and milk bars. The customers are usually travellers from the towns and cities to and from Davao City and Cagayan de Oro City. And, there too are buyers, not only from Maramag town itself but also from neighboring communities. In the years prior to 1996, however, things were quite different. In the first place, residents in Maramag and surrounding areas didn’t have a penchant for carabao’s milk. The existing native carabaos were only used for their draft capabilities. Only a handful of farmer-owners regularly milked their animal either for use as raw milk for food or for making milk products. The entry of the Philippine Carabao Center at the Central Mindanao University (PCC at CMU) set the wheels of change moving. In the mid-90s, 464 purebred dairy buffaloes were added to the center’s herd. With limited staff and finances to begin with, Rosenio Anacleto, the center’s first director, was confronted with wracking problems. Undaunted, he faced all these challenges head-on. Among the initiatives that paid off were appropriate corrals for the animals and pasture areas for the nutritional requirements of the animals. Soon, the calves started coming in. Milk collection was eventually done, with the center making its mark as a pioneer in milk collection among the PCC’s regional centers in the Mindanao cluster. The selling of raw milk, however, was a different matter, which took on the nature of a particularly challenging venture. “Sir Anacleto encouraged us to process the milk collected from the herd. It was a trial and error process. For two days, we conducted trials in processing the milk into choco milk but they resulted in failures. But then, we went on with the needed adjustments until we were able to come out with our initial bottles of the choco milk with the right mix,” PCC at CMU supervising science research specialist Thelma Bagongon said. She and two other staff members, science research specialist Gina G. Villamor and science research analyst Mary Fe L. Montaño, moved on to commercial production of their own brand of choco milk. Aside from choco milk, they also perfected the production of other products like pasteurized milk and “pastillas” (milk candy). They carried out the processing activities in the morning and continued to attend to their office works in the afternoon. Anacleto, who has already retired from public service, decided to use the waiting shed along the highway as their temporary outlet, heralded by the signage “Processed milk sold here”. Passers-by from different places began noticing the outlet. The hard work of the staff paid off. 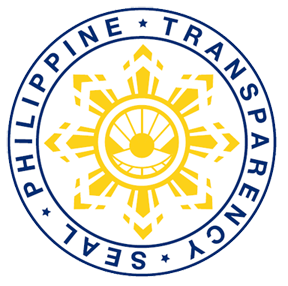 They were able to generate a monthly income of about Php400,000 from the sales of the products, which they remitted to the PCC main office. Former PCC executive director Libertado C. Cruz, informed of what the PCC at CMU had done, expressed amazement at the feat. “Dr. Cruz constantly encouraged Sir Anacleto that he should keep on processing and selling the milk as a way of educating people on the benefits they can derive in drinking buffalo’s milk and partaking of the milk products. He said that many people were on held the common belief that the carabao is only suitable for farm works and not a good source of abundant milk,” Bagongon recalled. In 2002, the temporary outlet was vacated in favor of a modest building for the selling of the products. This outlet was eventually renovated to keep pace with the growing number of customers. Now, under the current leadership of center director Lowell Paraguas, the PCC at CMU refined and improved its product line through the acquisition of new processing equipment aided by appropriate research and development. Science Research Assistant Elena S. Paraguas currently serves as the center’s product development officer. She is assisted by two staff members. Together, they meticulously observe the processing and packaging procedures involved in coming up with the center’s dairy products. “We are collecting about 240 liters of milk from twice-a-day milking of our herd. Sixty percent of the volume is used for processing and the rest, for feeding the newly-born calves,” Paraguas said. “We are developing our products based on the need of the market. We also tap the expertise of other PCC product outlets in improving the quality of our products.” Paraguas stated. He said their center has acquired additional equipment which can help boost the saleability of their products and in developing new ones. “We worked hard to make this venture a big reality. We have an established business now, earning more than what we have expected before. The initiative of Sir Anacleto has paid off and we will make sure that it is kept going for years to come,” Villamor added.